TAVISTOCK’S Neil Barkell continued his good off-road form with victory in the Six Moor Miles race. 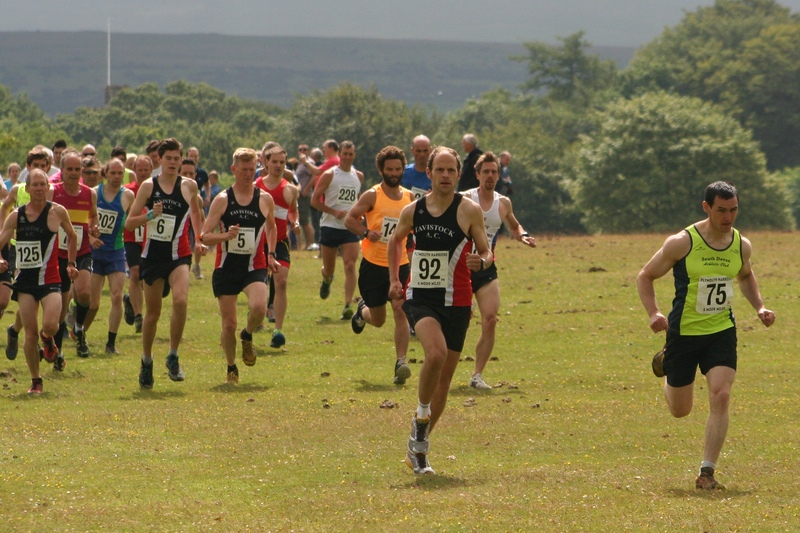 The 30-year-old finished more than a minute ahead of Erme Valley Harriers’ Allister Bristow. Bristow clocked 38.59, with South Devon’s David Hampton also running under the 40-minute mark in 39.12. Tavistock pair of James Best and Martin Exley-Deane came fourth and fifth in 40.30 and 41.05, respectively. Maddie Horton claimed the women’s title in an impressive 43.23 minutes. That was more than two minutes ahead of second-placed Sarah Hirons of Erme Valley in 45.38. Haldon’s Charlotte Weedon was third women home in 46.27. All those athletes managed to avoid the monster of all rain storms but many of the runners further down the field were not so lucky. However, despite the tough weather conditions and impressive 234 runners completed the race, which was organised by Plymouth Harriers. Many of the runners who were in action on Sunday will be pulling on their vests again on Wednesday night for the fourth race in the Armada Network Summer 5k Series at Saltram Park. Barkell came second in last month’s event behind Johnny Gilby. Wednesday’s time trial, which is open for all runners of all abilities from 11 year-old upwards, starts at 7pm, but registration must be completed by 6.45pm. Tags: Neil Barkell. Bookmark the permalink.